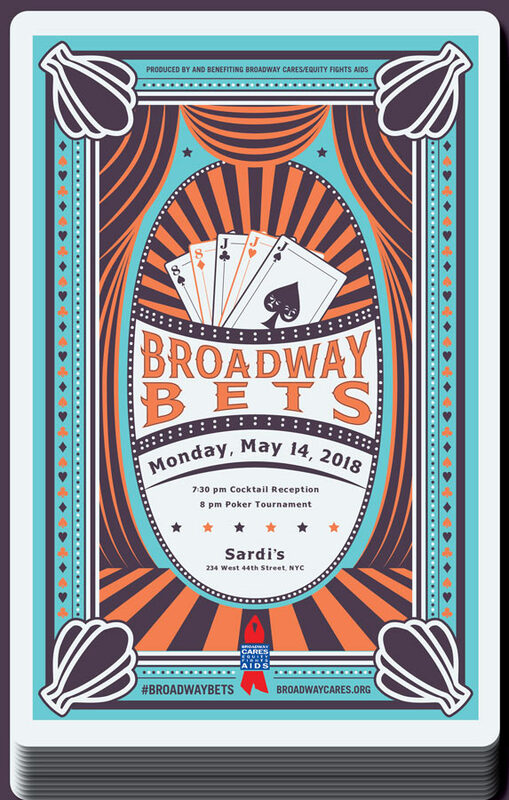 High energy, enthusiasm and a night of incredible fundraising were dealt in spades when Broadway stars, industry insiders and fans raised a record $295,100 for Broadway Cares/Equity Fights AIDS on Monday, May 14, 2018, at the fourth edition of Broadway Bets, Broadway’s official poker tournament. The ultimate face-off featured Peter Pergola, chief operating officer of The Araca Group, and Thomas M. Cerabino, chairman of Willkie Farr & Gallagher LLP. Surrounded by an energetic, cheering crowd, Pergola was crowned Broadway Bets champion when he bested Cerabino with a pair of kings and an Ace kicker. As winner, Pergola received a weekend at Borgata Hotel Casino & Spa in Atlantic City, NJ, plus two JetBlue tickets. The final table also featured, in order of finish: Joseph T. Baio of Willkie Farr; Jeremy Hollingworth, playing with Jujamcyn Theaters; professional poker player Andy Frankenberger; Nick Falzon of Disney Theatrical Productions; Lisa Cecchini of Situation Interactive; Amanda Pekoe of The Pekoe Group; actor Richard Kind; and Shannon January, house electrician at the Golden Theatre. Last year’s event raised $286,900. 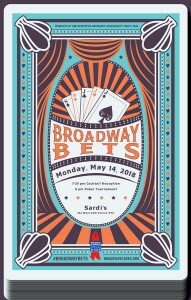 The four editions of Broadway Bets have raised a total of $948,850 for Broadway Cares. 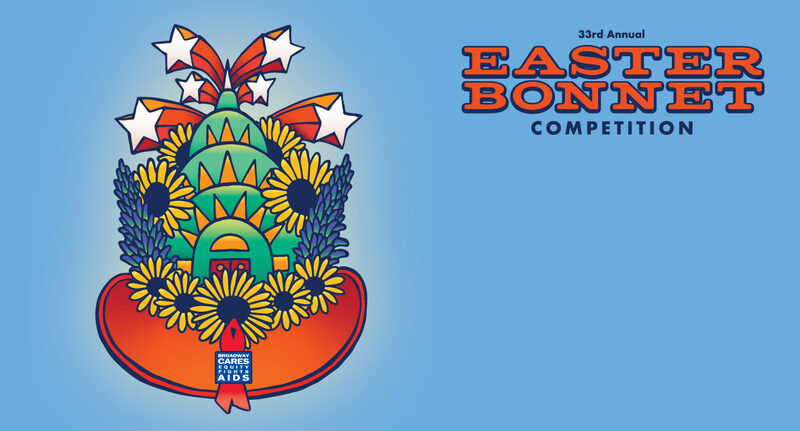 Three of Broadway’s hottest, Tony-nominated shows – Carousel, The Iceman Cometh and Three Tall Women – served as the evening’s “Royal Flush” Bar Sponsors. “Full House” table sponsors, who purchased tables for eight players, were AKA, Ambassador Theatre Group, The Araca Group, Entertainment Benefits Group, Foresight Theatrical, Independent Presenters Network, JetBlue, The John Gore Organization (Broadway.com, Broadway Across America), Jujamcyn Theaters, The Nederlander Organization, The Pekoe Group, The Road Company, Road Concierge/ALTOUR, Serino Coyne, The Shubert Organization, Situation Interactive, Sweet Hospitality Group, Ticketmaster and Willkie Farr & Gallagher LLP. Disney Theatrical Productions, Mean Girls, Show-Score and SpotCo joined the game as “Two Pair” half-table sponsors. Robert E. Wankel, president and co-CEO of The Shubert Organization and Broadway Cares president, and Paul Libin, executive vice president emeritus of Jujamcyn Theaters and BC/EFA Board of Trustees president emeritus, served as founding co-chairs. Micah Hollingworth of Jujamcyn Theaters, Mark Shacket of Foresight Theatrical and Brett Sirota of The Road Company returned to serve as tournament directors.